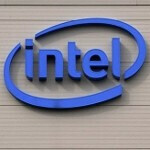 Intel based smartphone to hit the market in the beginning of 2012? Blaming Nokia for all of the delays that has prevented an Intel-based smartphone from seeing the light of day, the chip company's CEO says that such a device will be on the market in the beginning of next year. Intel's Paul Otellini told investors that, "You'll see the first Intel-based phones in the first part of next year." Under the hood will be the Intel-produced Medfield chips made using the 32 nanometer process. Of course, we have heard this song before, including as recently as this past February when we reported that a Medfield powered phone would be available in Q3 of this year. Otellini blamed Nokia for the delays, saying that, "In hindsight, Nokia was the wrong partner to have picked." This time around, the executive promises that we will see Medfield chips inside "phones shipping in the market from major players". The Medfield line is said to be more power efficient than processors currently in use, thanks to the more modern production process used by Intel.